Cheapest Auto Insurance Rates in Brevard County. So You Can Get Back to Business! 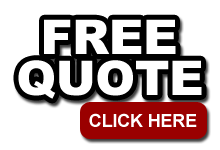 Request a quote or send us an inquiry! Best affordable insurance rates, guaranteed. At ALL BREVARD Insurance, our goal is to provide professional, yet cheap insurance rates and coverage to Melbourne, Palm Bay FL residents and businesses. All Brevard Insurance serves ALL of Brevard with ALL types of insurance policies. ABI offers protection and insurance coverage for personal, recreational and commercial insurance needs from a wide selection of "A" rated companies. ABI is a full service, independent agency. This means you get the benefit of our representation of dozens of insurance providers - not just a single provider option like many agencies are restricted to selling. ABI provides choice and with that choice, we can guarantee the lowest prices for everything that moves and more. Located in Melbourne and serving all of the Space Coast of Florida, All Brevard Insurance is conveniently located on Harbor City Blvd., at the intersection of US1 and Bacbcock St. Get more for your money on your insurance policy for home, auto, life, and everything in between. All Brevard insurance serves Palm Bay, Cocoa Beach, Satellite Beach, Indialantic, Rockledge, Viera, and the Space Coast.